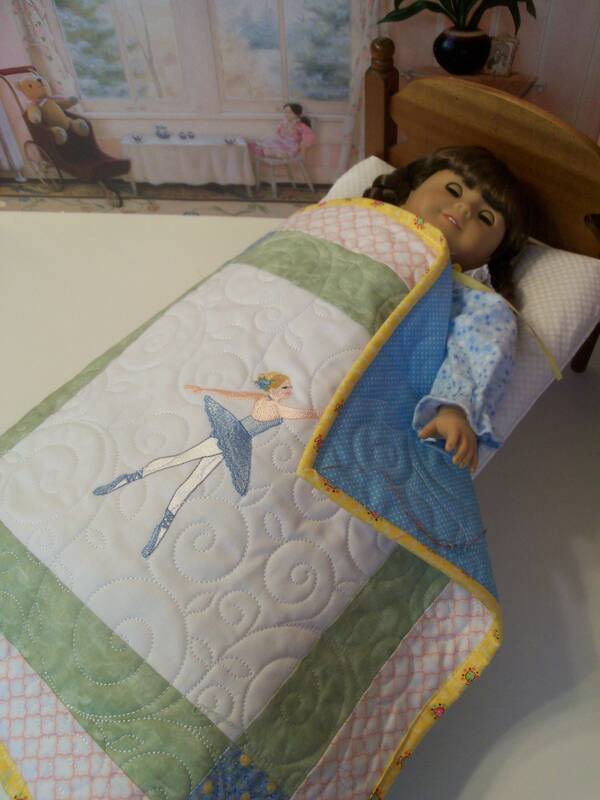 This listing is for an embroidered Farmcookies keepsake heirloom quilt sized for 18" American Girl Dolls. 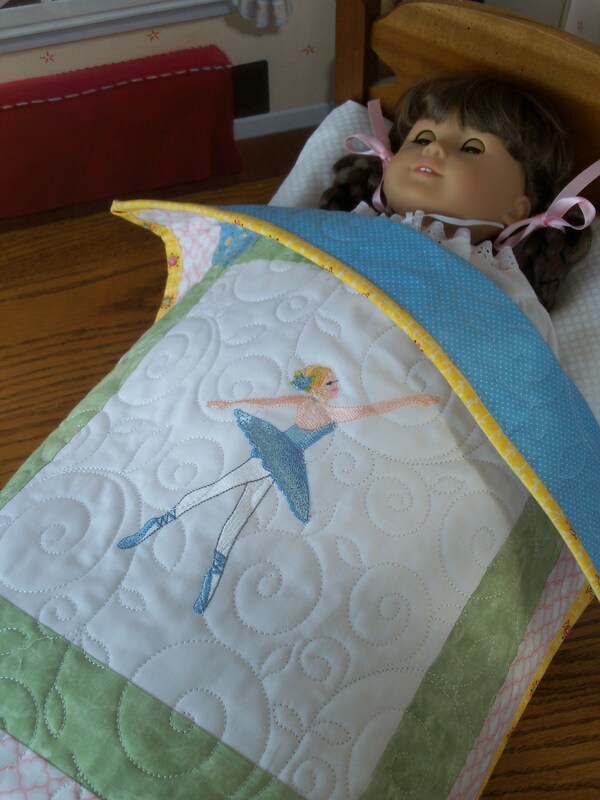 Like American Girl Doll clothes, this doll bedding is perfect - not only for an 18 inch doll but also Wellie Wishers. 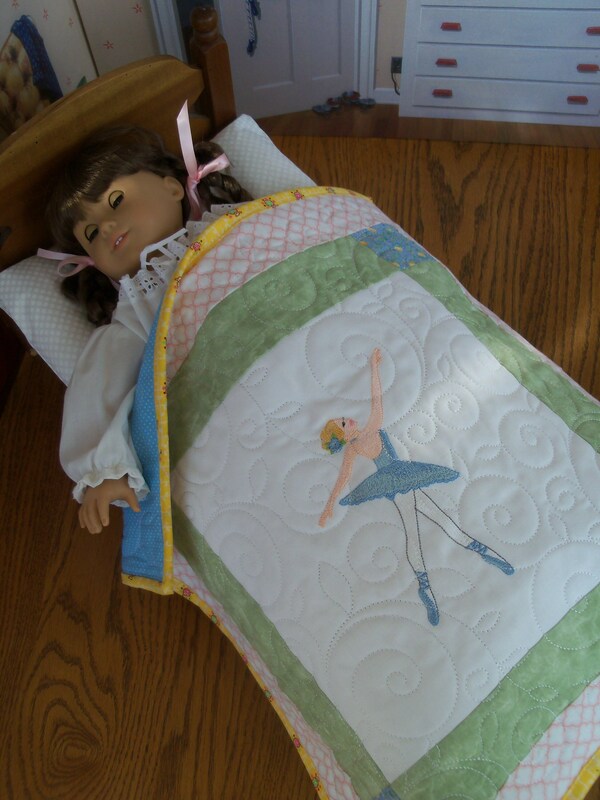 This reversible ballerina doll quilt with lovely embroidery is sure to become a family keepsake. Time to get ready for the holidays! 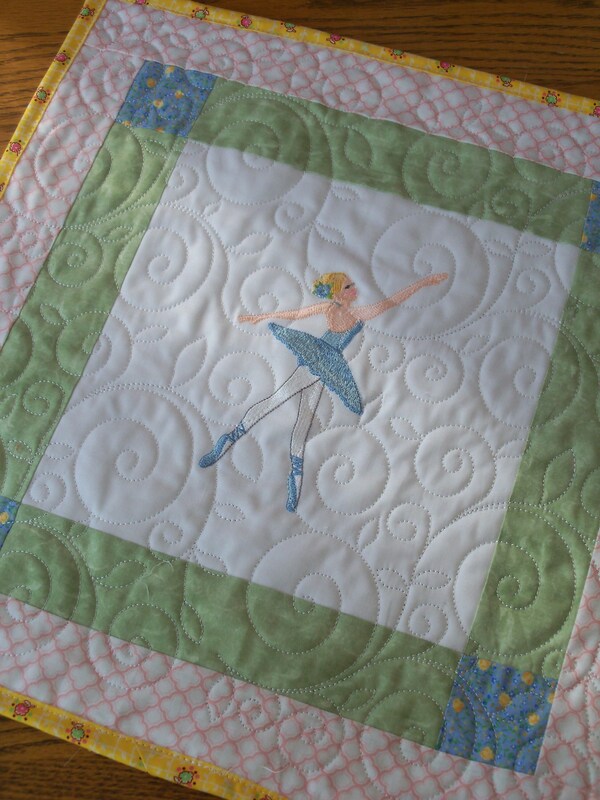 This pretty reversible quilt measures approximately 18" square. 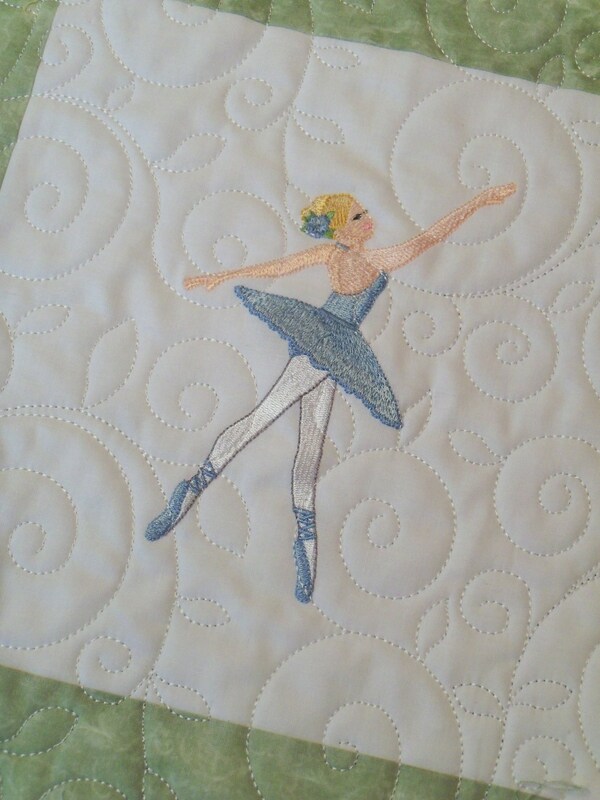 It features a dainty ballerina. The embroidery is surrounded by squares and strips made from coordinating cotton. The backing is a light blue mini polka dot. 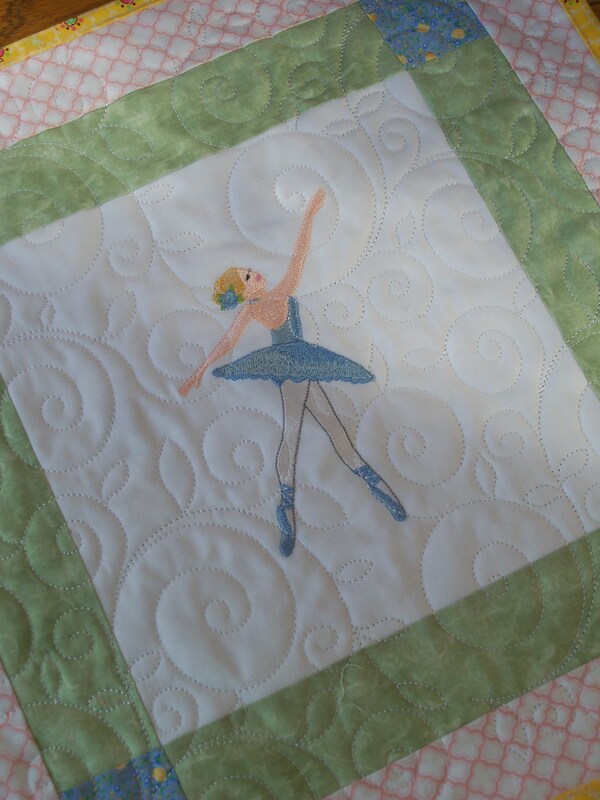 Quilting was stitched using my embroidery machine. In between the top and back is white "Warm and Soft" cotton batting. The quilt is finished with bias trim handmade by me. 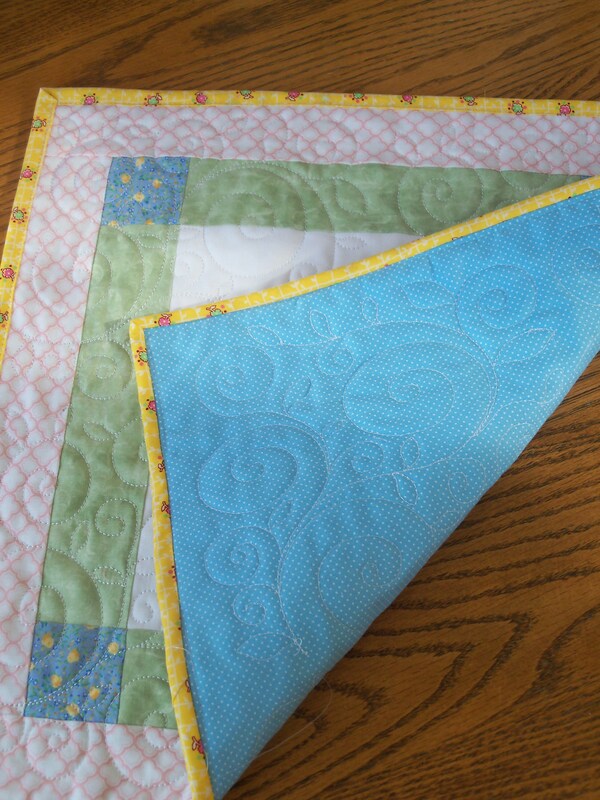 The bias trim coordinates nicely with the quilt. All my doll clothes and accessories are made in my smoke and pet- free Maryland home. Quilt will be carefully packaged so you receive it in perfect condition. I will ship within 2 business days of purchase. 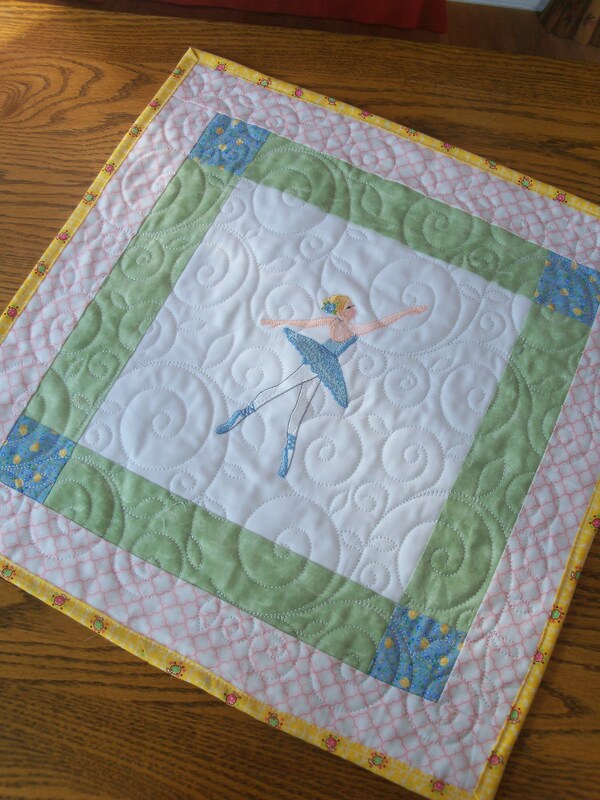 I can personalize quilts but they must be Custom Made and require a $20 deposit. 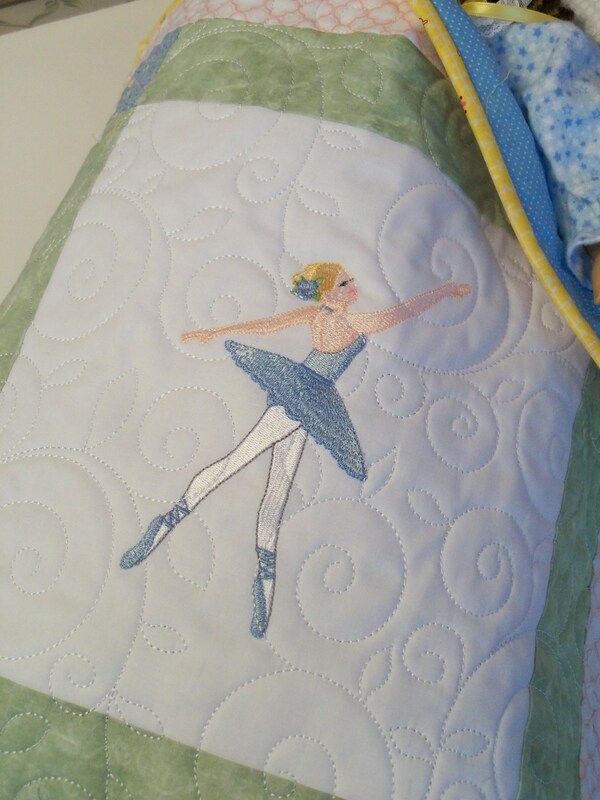 All personalization must be stitched BEFORE the quilt is assembled; each is custom made for you. 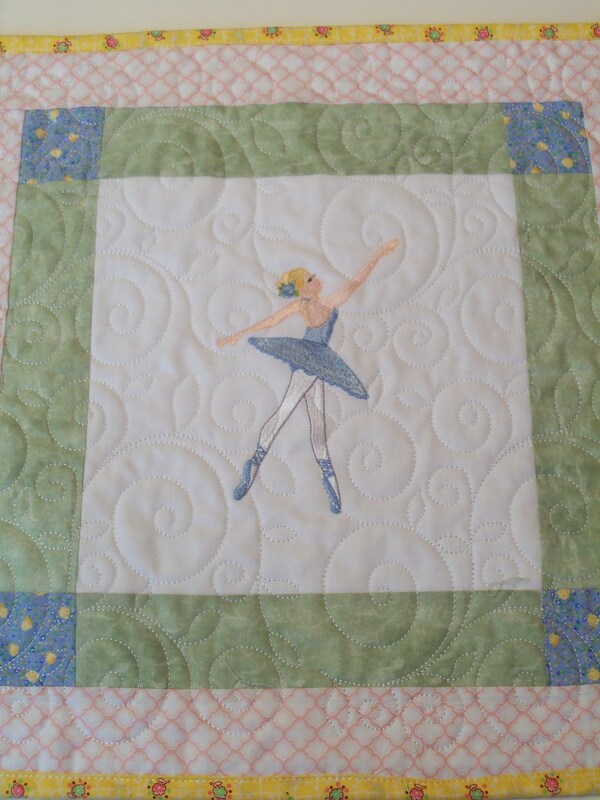 Please Convo me if you are interested in a personalized quilt and allow 2 weeks for completion. Finished quilts cannot be personalized.